And that’s all she wrote for the opening flight of ANZPT Sydney. When play started at 6.15pm local time on Thursday night we had 214 players dreaming of adding an ANZPT title to their resumes but only 98 of them will carry their hopes into Day 2 with Tobin Ryall (pictured above) leading the way on 138,500. 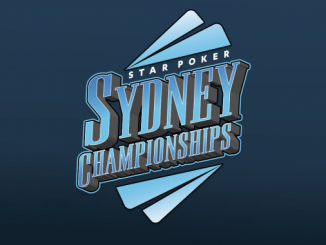 Also in contention are Tony Hachem, Michael O’Grady, Jesse McKenzie, Billy Argyros, Sam Capra, Joel Dodds, Liam O’Rourke, Andrew Scarf, Jackson Zheng, Martin Kozlov, Daniel Laidlaw, reigning champion Michael Kanaan and 2012 Aussie Millions champion Oliver Speidel. But it wasn’t such a successful day for the likes of Brendon Rubie, Jonathan Karamalikis, Jason Gray, Aaron Benton, Grant Levy, Andrew Hinrichsen, Daniel Neilson or Tom Grigg who were all among the Day 1a casualties. Karamalikis in-particular will be disappointed not to still be in contention after building up a healthy stack of over 80,000 midway through the day’s play before losing a massive A-K v J-J flip and finding himself eliminated soon after. The 98 survivors can now enjoy a well-deserved day off as a new batch of players take to the felt at 12.30 this afternoon for Flight 2. Make sure you join us once again at PokerMedia Australia for live updates of all the ANZPT Sydney action. With the 6.15pm start to this first flight, it’s been a long day for all here at The Star poker room – but the end is in sight. The tournament clock has just ticked over into the final level of the day which means there is just under an hour of play remaining before the chips are bagged and tagged. Blinds are now at 400/800 with a 75 chip ante. So far we have lost close to half of today’s field with 120 of the original 214 starting field still in contention to progress to Saturday’s Day 2. You know you run good when you can make your opponent fold Kings pre-flop. Jesse McKenzie (pictured above) was just the lucky recipient of this piece of good fortune when he 4-bet shipped with Q-Q and his opponent open-folded his own monster hand. Instead of packing his bags, McKenzie now sits with 42,000 and after recently moving tables is looking poised to make his move. The clock has just been paused at the start of Level 7 which means we have two hours remaining in Flight 1. Players are currently on a brief 10-minute break with 139 of the 214 starters remaining. When they return the blinds will be 300/600 with a 50 ante. It took less than an hour for Jonathan Karamalikis to go from over 80,000 to bust. Or, to be more precise, just two hands! Our one time chip leader lost a huge flip with Jacks against A-K for a 70,000 pot and was finished off just a few moments ago by Dave Allen. As Allen recounted to us, he checked his option in the big blind holding J-8 in a five-way limped pot and saw a flop of A-J-8. He led out for 1,200 and made the quick call when Karamalikis shoved for his final 12,000. The Dong showed Q-10 for a double belly buster but blanked the turn and river and will have to wait to add to his glittering trophy cabinet. Allen is nearing 50,000 in chips. 11.55pm: Top pair no good? We caught the action on the turn with the board reading 7-8-K-6 and a bet of 7,500 fired out by the small blind. Alec Smith (pictured above) didn’t think for long before re-popping it big to 28,000. The early position player looked bemused, asking ‘Set? Two pair?’ before throwing his cards into the muck. Smith has been steadily building his stack throughout the evening and now sits above 50,000. We’ve just started Level 6 with blinds now at 200/400 with a 50 ante. It’s been quite a ride for Nabil Edgtton here at The Star over the past six months. In December he edged out a field of 100 players to win the 6-handed event at The Star Summer Series for a cool $16,350 and added another trophy just two nights ago when he teamed with Alex Antonios to win ANZPT Sydney Teams Event. Now he finds himself chipped up again with 93,000 in front. That still leaves him trailing our chip leader, Andrew Li, however who is the first to pass the 100,000 chip barrier. Li currently has 100,000 which isn’t bad given that he is flanked on either side by Barry Forrester and Peter Aristidou. With such big numbers turning up to take part in this year’s ANZPT Sydney tournament series, poker room manager Stephen Ibrahim has moved four tables into the nearby Oasis Lounge. The knock-on effect of this has been a much quieter night for those security guards patrolling the Oasis Lounge doors given that the area is usually a popular bar. In-fact, as we wandered back into the main poker room moments ago we caught one guard outside of Oasis doing push-ups! Aussie Millions champion Oliver Speidel just showed why he is such a formidable opponent in an interesting hand that ran deep into our most recent break. Opening to 550 in early position, he was immediately 3-bet to 1,250 by a player two to his left. A third player tanked for 15 seconds before calling but Didier Guerin 4-bet to 3,900. Not one to be out-played, Speidel then 5-bet to 6100 – forcing some audible sighs as all three rivals reluctantly folded. Speidel is up to 28,000. Players are now on a 10-minute break which is probably just what Tony Hachem needs to cool off. We caught the action on the river with the rest of the table already off enjoying their breather as Hachem put his opponent all-in on a Q-10-8-2-5 board. His opponent snap-called and showed K-K with Hachem uttering some unrepeatables before mucking. With the loss of that monster 40,000 pot Hachem slips to just under 20,000. Jonathan Karamalikis (pictured above) has quite a record here in Sydney, having won the 2010 APPT Grand Final Main Event and two High Rollers tournaments at The Star, and he is already among the chip leaders here tonight. Karamalikis doubled on just the second hand he played when he picked up K-K and found a rival willing to get it all-in with K-Q on a Q-high flop. He now sits with 68,000 in front. By our reckoning that’s good enough for second at this stage with Andrew Li the overall chip leader with 80,000. It was slow going early on as players felt their way around but we’ve started to see more action over the past 30 minutes with the starting field cut from 214 down to 190 at the end of Level 4. Among those eliminated is the Star Poker ambassador and 2009 APPT Sydney champion Aaron Benton who endured a torrid run of bad luck tonight. He lost half his stack when his flopped set of Jacks was run down by an opponent’s straight, another 6,000 when he was forced to fold Jacks again on the turn and was then eliminated when he pushed for his final 4,000 with A-5 only to run into pocket 9s. Despite his early exit, Benton can at least take solace in the fact that he has had a profitable week after pocketing $30,000 for his third place finish in the Opening Event. We’re not sure whether they do much to help his poker face but Ivan Zalac is certainly donning the most spectacular pair of sunglasses in The Star’s poker room tonight. Sitting at the same table as Grant Levy, Zalac told PokerMedia Australia that he has more than a dozen eccentric sunnies that he wears depending on what stage of the tournament we’re at. And yes, they include a pair with huge dollar signs on them that he is (hopefully) saving for the final table! While we’re still in the early stages of this year’s ANZPT Sydney main event, be sure to check out the second edition of PokerMedia Australia’s new poker and sports magazine The Real Deal which is available both online on this very site and, for the first time, in print form. In this issue we provide an extensive coverage of the 2012 Aussie Million and chat with our newest champion Oliver Speidel about his amazing run. We also take a look at the 2012 World Series of Poker schedule, including details of the five new events and two new exhibition events that will ensure the best and biggest tournament series on the face of the planet remains as relevant and dominant as ever. PMA is the exclusive home of 2005 WSOP champion Joe Hachem and, in the latest edition of his regular column, Joe discusses his run in the Aussie Millions $100k Challenge and the Main Event along with news of his exciting new partnership with AsianLogic and the Asian Poker Tour. You’ll also find a review of the first major tournament to be held under the combined banner of the APL, 888PL and Pub Poker – the MAIN EVENT – and details of the latest inductees to the Australian Poker Hall of Fame. 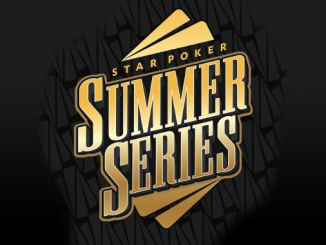 We also wrap-up the first Star Poker Summer Series. In our comprehensive sports section we look at the unprecedented line-up of major sporting events in Europe this summer along with review of The Darling hotel in Sydney and the stunning new Spice Temple at Crown Melbourne. We have club-by-club previews of the 2012 AFL and NRL seasons, chat with Aussie racing driver and emerging NASCAR star Marcos Ambrose, tour the Masters look at the Top 10 worst club nicknames in sport. To check out The Real Deal online click here. We’re also proud to announce that copies of The Real Deal are available in The Star poker room, so if you’re in the vicinity pop in and grab yourself a free copy! As players continue to trickle in late to take their seats we’ve spotted a few more very recognisable faces. They include Jonathan Karamalikis, Daniel Laidlaw, Jason Gray, Tom Grigg, Peter Aristidou, Andy Lee and 2012 Aussie Millions champion Oliver Speidel (pictured above). 6.15pm: Shuffle Up and Deal! And just like that, play is underway in the Main Event of ANZPT Sydney 2012. 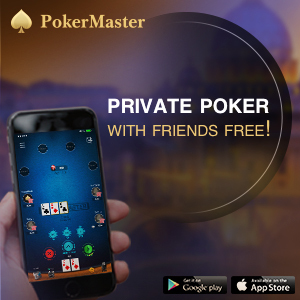 The news from The Star poker room manager Stephen Ibrahim is that we already have more than 200 players registered for today’s opening flight and could well reach the cap of 250. Play will be split between the main poker room and the luxurious Oasis Lounge tonight and with the tournament clock now ticking over we still have a number of players making their way to their seats. Among those we’ve spotted taking their place at the tables are Tony Hachem, Brendon Rubie, Daniel Neilson, Grant Levy, Aaron Benton, Joel Dodds, Jai Kemp, Andrew Scarf, Michael O’Grady, Martin Kozlov and Alec Smith. Also seated together are Australia’s latest WSOP bracelet winner Andrew Hinrichsen and young gun Liam O’Rourke. We are scheduled to play eight one-hour levels tonight with blinds starting at 50/100 and 20,000 starting stacks. Welcome to The Star in beautiful Sydney and the first stop on this year’s Australia New Zealand Poker Tour. 2012 represents the fourth season of ANZPT which has proven by far to be the most popular tournament series for local players since its inception in 2009 and the early signs are that this week’s main event will be no different. We’ve already seen big numbers for the six side events that have been played over the past eight days here at The Star with a whopping 726 players taking their seats for the Opening Event. And if the long queue still standing at the registration desk is anything to go by, it appears we’ll have close to a full house here again tonight. Last year’s ANZPT Sydney event attracted 393 entrants with 27-year-old local Michael Kanaan emerging victorious to claim the $195,714 first prize. Who will it be this year? Stay tuned to PokerMedia Australia for the duration of the main event as we keep you up to date with all the drama of ANZPT Sydney 2012. The 2018 APL Million is only weeks away!